In 2012, I purchased an income property in Medellín. 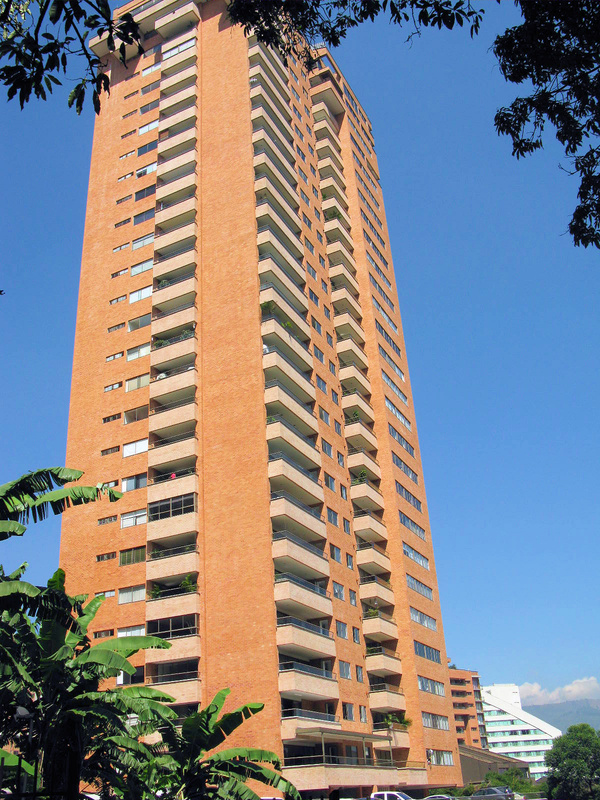 It’s a two-story condo on the 17th and 18th floors of a new building on Medellín’s Golden Mile. Since closing, it’s generated around US$1,900 per month…about 8.5%. That same year, I invested in a foreign stock exchange, opened accounts in foreign currencies, and even opened a cash savings account that generates 5% interest. What these transactions all have in common is that I used my retirement funds—money from my old 401k plan, which I converted to a self-directed retirement plan. By using a self-directed retirement account you can really put your retirement funds to work on the overseas property market, as well as overseas financial markets. You can personally control the funds and invest them as you see fit while preserving your tax-deferred status on the principal and gains. Originally, I believed that the only way to do this was to set up a self-directed IRA, so I set out to create one. And in hopes of avoiding a financial planner’s large setup fees and annual charges, I decided to do it myself. After two weeks of staring at the computer screen, I learned a few things…most-significantly, that it was way harder than I thought. Here’s some of what I learned. It’s hard for do-it-yourselfers. There are scores of companies out there that can set up a self-directed IRA for you…but the knowledge of exactly how to do it yourself is very hard to come by. Determined to do it myself anyway, I spent a hundred bucks on a special report on how to set up a self-directed IRA, from a well-known e-letter publisher. What a sucker I was. Instead of telling me how to set up the IRA, my “special report” gave me 30 pages of narrative on why it was a good idea…and a reference to their partner financial advisor, who I could pay to set it up. IRAs require custodians, by law. Usually this is a bank or trust company, and it’s in addition to any facilitator or advisor that you employ. So even after setting up a self-directed IRA, there’s still a custodian that needs to approve each investment—an approval that takes valuable time. Facilitators and advisors are not custodians. When I use the term “facilitator,” I’m referring to financial service companies or individuals who bring “account administration services” to the table and provide an interface between you and the custodian. These advisors of course, charge for their services, too. Real custodians have the word “bank” or “trust” in their name. Facilitators sometimes have names that sound like “trust” but aren’t—maybe something like “Safetrust.” Don’t be fooled; they’re not custodians. So even after setting up a self-directed IRA, you can still find yourself working through a facilitator and a custodian in a cumbersome process. You can pair your IRA with an LLC. In order to circumvent the custodian, you can form a Limited Liability Company (LLC) and then invest your IRA funds in the LLC, with custodian approval. Thereafter, as manager of the LLC, you can make the actual investments via the LLC without custodian approval. This gives you what the industry calls “checkbook control” of your retirement funds. But unfortunately, the LLC brings an added layer of expense, complexity, and reporting requirements. Here’s why I like the Solo 401k better than the self-directed IRA. Unlike IRAs, 401ks do not require a custodian. You can set up a Solo 401k plan, and name yourself the plan’s trustee. Then you’ve got complete “checkbook control” of all the plan’s assets, with no intermediaries. The annual contribution limit is nearly 10 times that of an IRA, so you can legally put far more money into tax-deferred status—up to US$57,500 per year for individuals older than 50 for 2014. Follow the link to see in-depth details on deferrals, from the IRS. Also, you can borrow moneyfrom a 401k plan—up to US$50,000 or 50% of the plan’s balance. Reporting requirements are minimal: just one form, once per year, and only when the plan’s assets are more than US$250,000. Setup is fast. You can have your plan up and running in a few days. Best of all, it’s inexpensive to set up and maintain going forward. As with IRAs, the Solo 401k will accept rollovers from your present plans (except Roth IRAs). So you can take control of as much (or as little) of your retirement funds as you want. Remember that self-directed plans are higher-risk plans. This is because you’re in control of your own retirement funds…not a professional custodian or professional plan manager. Also, the Solo 401k plan is for people with at least some self-employment income. This can be from a part-time endeavor, like freelance travel writing, consulting, photography, or anything else you do to earn money aside from regular employee wages. This self-employment income can be in addition to your regular full-time job, and there’s no minimum income amount. A few traditional institutions offer Solo 401k plans (like Fidelity), but these so-called self-directed plans aren’t what you want. You can invest only from their offerings; you can’t do things like buy property abroad. For real control, you need a specialist in this type of individual plan. The one I work with these days is Woody Funderburk, of Capkey International. Woody charges a one-time setup fee of US$1,700 for the 401k plan, and US$250 per year for keeping your plan in compliance with ever-changing IRS regulations. Follow this link for more information on setting up a Solo-401k plan ( http://liberty401k.com ). To put the pricing into perspective, using my Solo 401k, I made more during my first month with an income property abroad than it costs to set the whole thing up. Facilitators and custodians really earn their fees, despite my personal unwillingness to pay them. It takes work to do this on your own and to keep things in order. And the penalties for misuse of your plan are severe. All else aside, you could lose tax-deferred status and end up paying income tax on the entire plan’s balance. In fact, some people who have Solo 401ks will still employ a facilitator or advisor to keep the records straight, manage distributions, and do any required filings. Set up the plan before you need it. The most common source of failure and disappointment I’ve seen over the years has been when readers find an excellent, time-sensitive deal abroad and miss it because their self-directed plan wasn’t set up ahead of time. Whether you go with the Solo 401k or an IRA/LLC, you’ll gain a new inroad into international property buying, and you’ll put your retirement plan to work like never before. I recently had the pleasure of visiting Medellin. What a surprise. We loved it and want to come back for a couple of months. But I found it disconcerting that the rental rates you quoted in the past were very different from what I found through a couple of rental sites I checked. I did talk to Rich Holman with First American Realty Medellin and he and his staff were very friendly and helpful. But the properties he showed me were in the US$1,600–US$2,200 per month range. Are short-term rentals that expensive? Is there any other local sources you can recommend I try? The quick answer is yes, that’s what furnished rentals go for in the nice areas of El Poblado that Rich works in. That’s why those of us who own rentals there get such good returns; the rental rates are out-of-sync with the property prices. To find less expensive furnished rentals you’d need to look outside of El Poblado, or less sought-after areas within El Poblado. You’ll spend a bit less in areas like Laureles and Conquistadores, which are also good sectors. And you’ll save even more in Belen, Estadio, Prado, or Centro. Three Spanish-language sites to check out are Vivareal.com, Alquilerdeamoblados.com ( http://www.alquilerdeamoblados.com/alquiler_amoblados/p506_seccion/48/p506_propiedad/1163 ), and Apartamentos-amoblados.com ( http://www.apartamentos-amoblados.com/inicio/poblado.php ). Their El Poblado stuff will cost about the same, but they have better coverage in some of these alternate areas. I read your article on Granada, and wonder what is the price for authentic colonials (not “colonial-style” new construction)? Great question. In fact, there are very few homes left from the actual colonial period (pre-1821), and I’ve never personally seen one for sale. This is mostly thanks to William Walker, an American who conquered much of Nicaragua with his private army, declared himself president, and headquartered himself in Granada. Prior to fleeing from 4,000 surrounding Central American troops in 1856, he burned the ancient city of Granada to the ground, and escaped into Lake Nicaragua. Only a few homes remained. Generally, the “colonials” I refer to in Granada are from the late 19th or 20th centuries, and built in the Spanish colonial style. Regarding your comment on casinos last week, do not forget that Ecuador last year outlawed casinos per national referendum. Peter’s right: Ecuadorian casinos were shut down in March 2012 after pressure from President Correa and a national referendum.